We chose Marseille as a place to stay during our recent holiday in Provence Code d’Azur for several reasons. 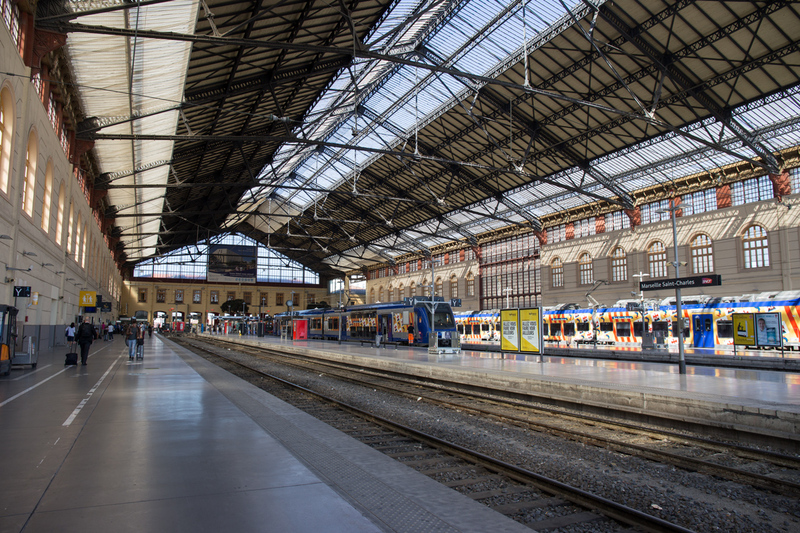 First, Marseille can easily be reached from many places outside France without having to transit in Paris. Then, going around Provence Code d’Azur is easier from Marseille because of the trains. 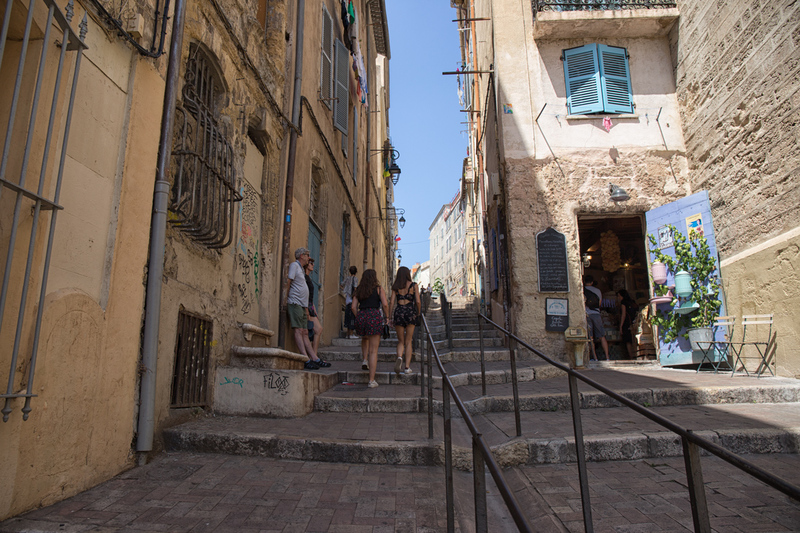 After several days of stay, it’s easy to see why Marseille is absolutely worth stopping by while in Provence Code d’Azur. 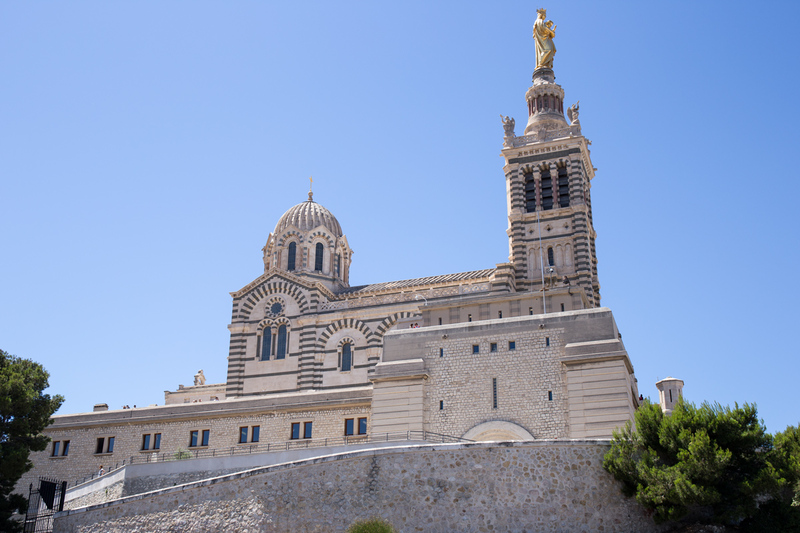 The blue sea, old architectures, beautiful port, interesting neighbourhoods and good cuisines what make Marseille a nice place to visit for a day or two. 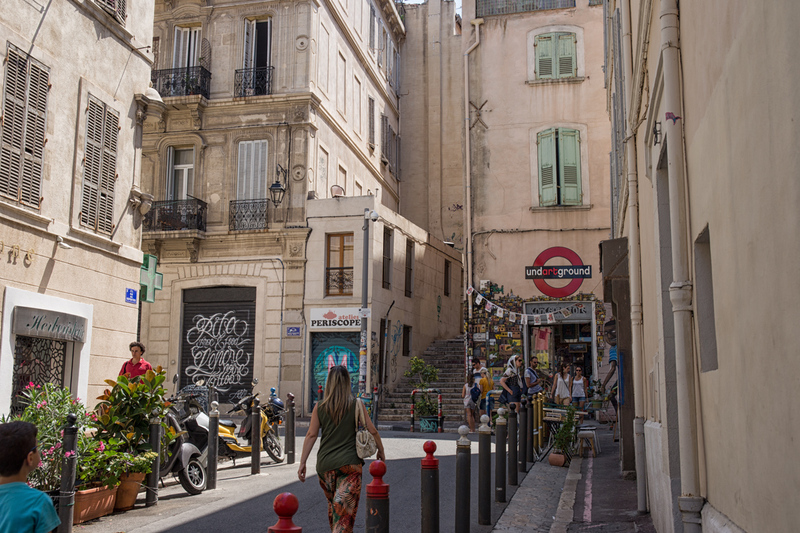 Marseille is less crowded in summer than the ordinary months as most of the locals are heading somewhere else for holiday. Going around the city is relatively easy thanks to frequent buses and subways to the most popular tourist sites. 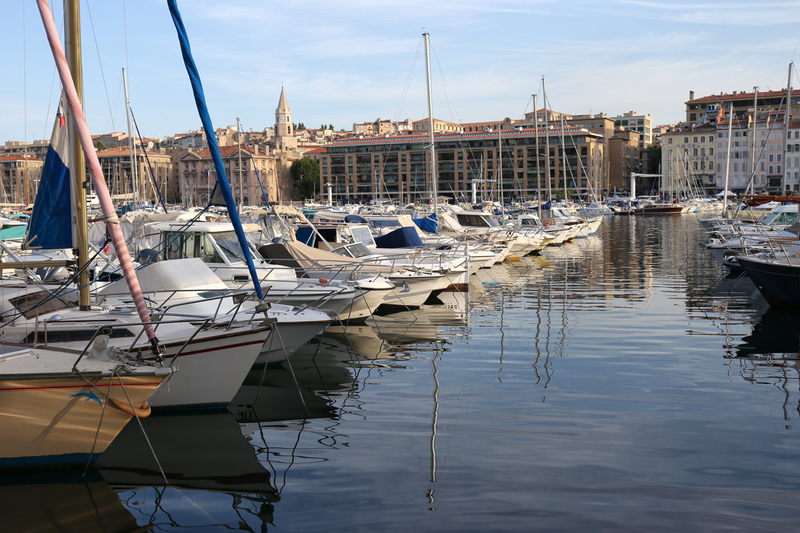 Located in city centre, Vieux Port or the Old Port is a must visit while in Marseille. Vieux Port was once an important port during Greek colony. 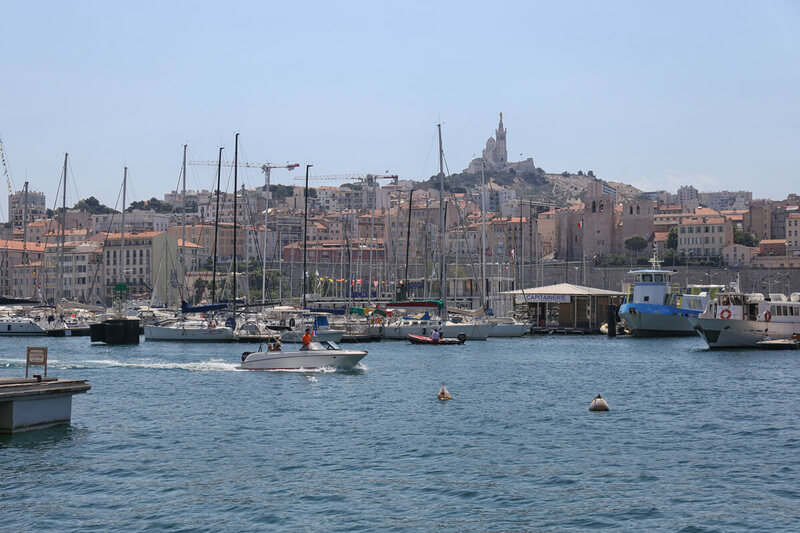 Nowadays, the Old Port lively surrounding is the centre of attraction for anyone visiting Marseille. 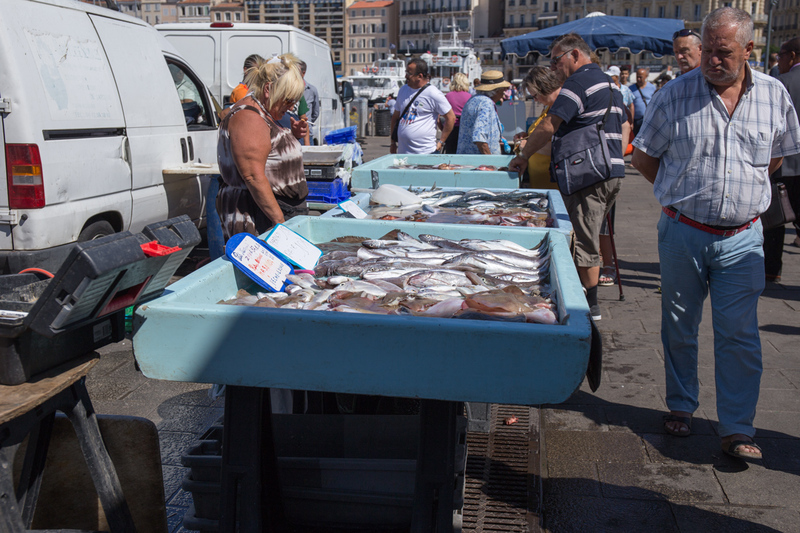 In the morning, fish mongers interacting with the local gives a glance of a life in Marseille. For pictures taking, it’s best to visit the Old Port of Marseille before 10am or after 0730pm during summer time. The Notre-Dame Church is one of the important structures in Marseille. 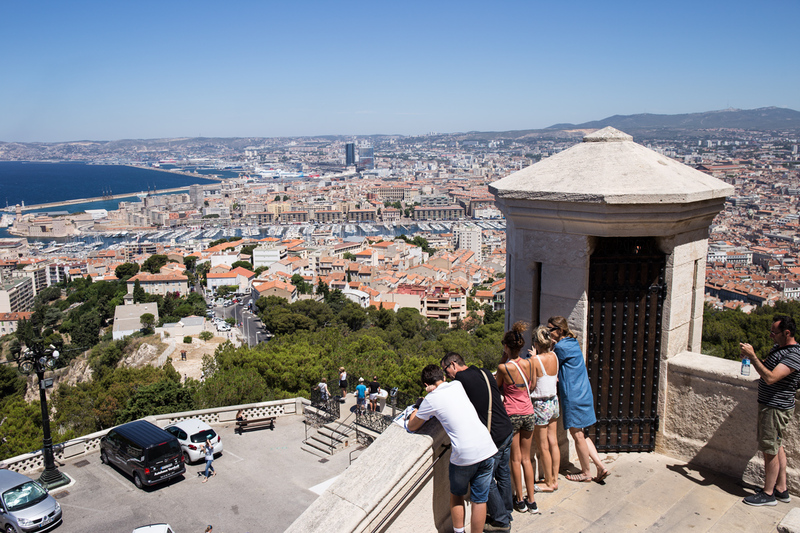 It’s located on the hilltop overlooking the city of Marseille. It can easily be reached by car or bus from the Vieux Port. While the city view from the hilltop is strikingly beautiful, the Notre Dame interior is something to be admired. Somehow it reminds us of mudejar architecture, a mixture between christian and moorish design that we normally find in Seville. Le Panier is located at the hillside of Vieux Port and can be reached by walking from Hotel de Ville / City Hall. Le Panier is a residential district and also a home to many artisan boutiques, shops, cafes and restaurants. The buildings are nicely decorated with colourful window shutters, flowers and artistic graffitis. The neighbourhood is more lively in early evening. For pictures taking purpose, it’s better to visit Le Panier in the morning. Cathedral de la Major is located within the same district as Le Panier and within walking distance from the Old Port. Although it is less popular than the Notre Dame, the architecture of the Cathedral is nonetheless beautiful. Fort Saint Jean is one of the old structures in Marseille built at the end of 16 century. 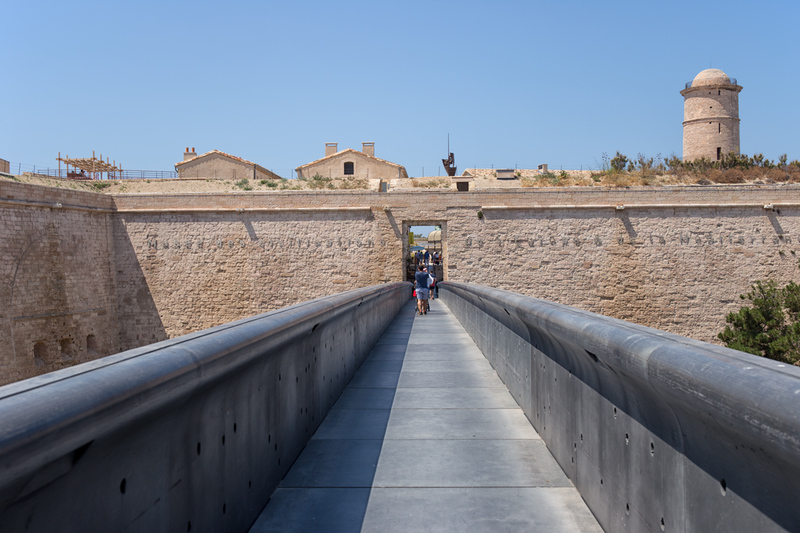 Since 2013, the Fort of Saint Jean has become part of MuCEM (Museum of European and Mediteranian Civilisation). Bouillabaisse is a Provence local cuisine originated from Marseille. In the past Bouillabaisse is made by using bony rockfish that had little market value but nowadays many are using regular fish including mussels and shrimps. 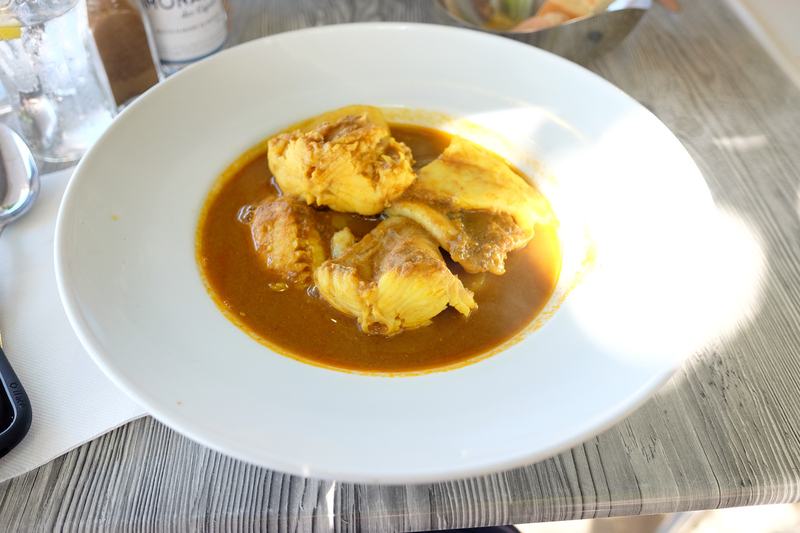 Because of the taste, bouillabaisse easily gained the popularity over the years and now available in many restaurants in Marseille. It’s not just a station. Gare de Marseille Saint Charles is the main train and bus station located up the hill that has been operating since 18 century. The main point of interest is the grand stairway located outside the station. 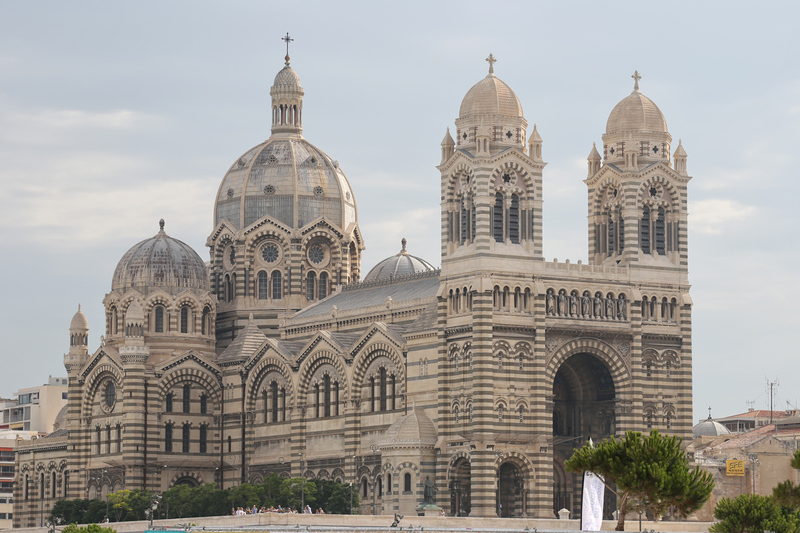 What are your favourite things to do in Marseille? 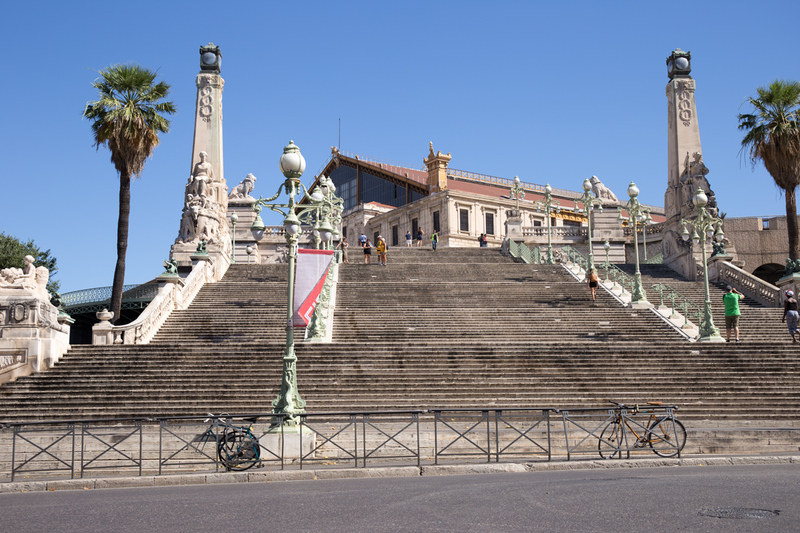 Previous story Is Marseille Safe for Tourists?